Redbox and Verizon are working on a streaming video service to take on Netflix, but so far have said little about how it will work. Verizon, whose interest in streaming video is also well-documented, plans to use its IP network infrastructure, cloud computing technologies and relationships with Hollywood to help build the service. The ownership split in the joint venture is 65 percent Verizon, 35 percent Redbox. How much will the subscription service cost? Will there be other services available, such as a la carte viewing, or multiple tiers for the subscription service? How will the content be different from that of Netflix and Amazon? Will there be new releases as well as back catalog content? Will a Verizon or Verizon Wireless subscription be required to use the service? 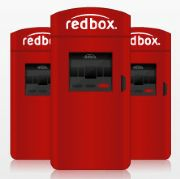 Will Redbox's DVD kiosk service be tied into the streaming service in any way?